We are engaged in offering our clients with a qualitative range of Sifter Sieves for Seperation. 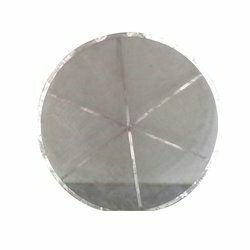 These Sifter Sieves are offered in diameters of 20, 30, 40, and 48 inches and also as per the drawings from 4 meshes to 500 meshes with additional cross support of 18 SWGS. Our range is cross welded to the bottom of the ring with additional sieves. This supports sieves as per customer specifications and we also silicon mould sifter sieves using SS 316/304.